This celebrated classic now includes a new introduction by Robert Tombs. The history of nineteenth and early twentieth-century France has often seemed complex and confusing. 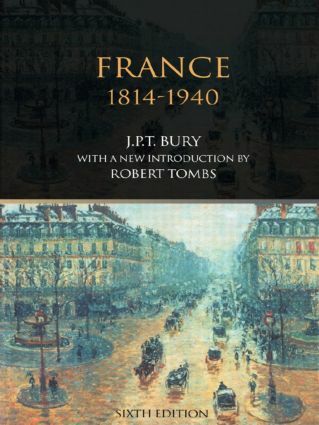 France, 1814-1940 has a long-established reputation as a clear, accessible and authoritative account of this fascinating period. It describes the characteristics of France's different regimes and their leading personalities and explains why during these years the people of France had to endure so many revolutions, wars and crises. The book introduces social and economic change as well as cultural developments and French overseas expansion.